The Amphenol Pyle National Star Line connectors are heavy duty, environmentally sealed plugs and receptacles used in all types of Industrial and Aerospace applications. 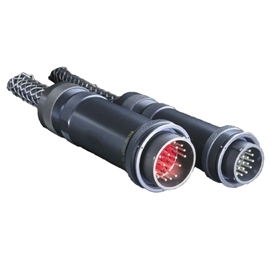 These compact, environmental connectors have provided outstanding performance in petrochemical, geophysical, complex ground support cable networks, process control systems and instrumentation systems. The family of connectors has made a major contribution to the successful interconnection of peak power generating systems, as well as, offshore petroleum production for power distribution and data acquisition. Recognized as one of the leaders in the harsh environment connector market, the Star-Line® product family is UL listed.